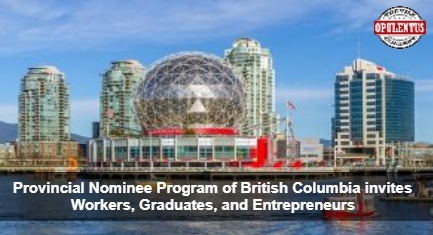 In the recent provincial draw, held on March 21, the Provincial Nominee Program of British Columbia has issued 146 invitations to top skilled workers, entrepreneurs, and graduates, for applying to the provincial nomination to seek a permanent settlement in the province. These invitations were issued to candidates by using the Entrepreneur, Skills Immigration, and Express Entry categories. Such invited candidates, who are successful in getting the nomination, receive 600 extra points, for the Comprehensive Ranking System, and also an ITA in the future draw of the federal Express Entry. The applications for permanent residence for the Candidates, who have been invited, using the Skills Immigration categories, will be processed, outside the Express Entry system, consequent to their receiving a BC nomination. The persons who are interested migrate to Canada by using the PNP of BC must begin their process, through creating a profile, online, with the Program, and ensure that the registration form is complete in all respects. After the profile is assessed, aspirants will be allotted the score that is based on work experience, civil status, education, besides other factors. They join the pool of selection managed by the BC PNP. Such candidates must also have a full-time, indeterminate, job offer issued by an employer, located in the province for being eligible for the immigration categories that are managed by the BC PNP. Please note that an ITA for the BC PNP is dissimilar from the Invitation to Apply that issued at the federal level.